The Relentless by TAS team are now running the official Suzuki GB motocross team. 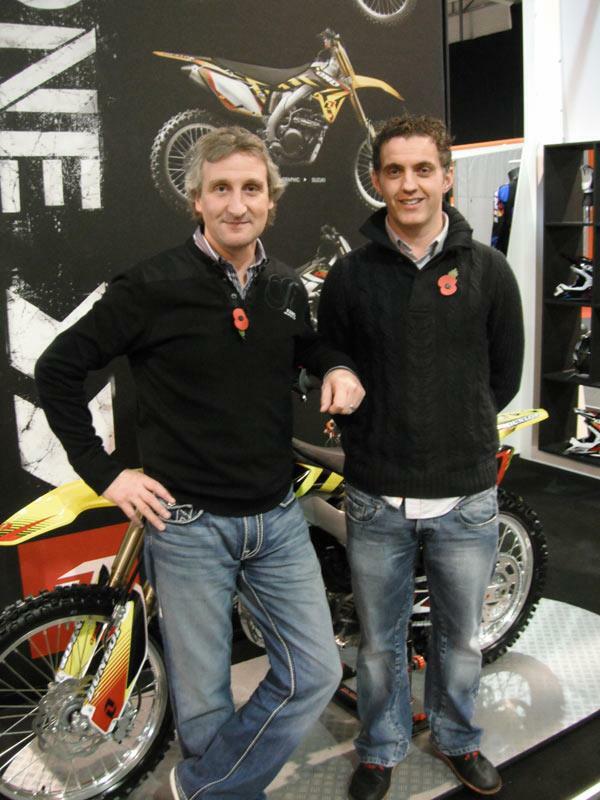 Team boss Philip Neill, along with the team’s new motocross manager Adam Lyons, were at the Dirt Bike Show, Stoneleigh yesterday to have talks with several prospective riders. The TAS team recently secured the backing of Suzuki GB to become the sole Suzuki-backed team in BSB. They are also the official Suzuki-backed team for the roads and have also assumed responsibility for running the company’s official motocross programme. The Relentless by TAS team prepared and ran the Suzuki RM-Z that Martin Barr used to win the recent Belfast Supercross. Neil also said that negotiations are still ongoing to fill the two British Superbike rider berths and the remaining ride alongside new signing Guy Martin for the international rod races.